What makes Canadians different from Americans? Or a dead soul from a living one? Does Canada really exist? Is there life before sixty? 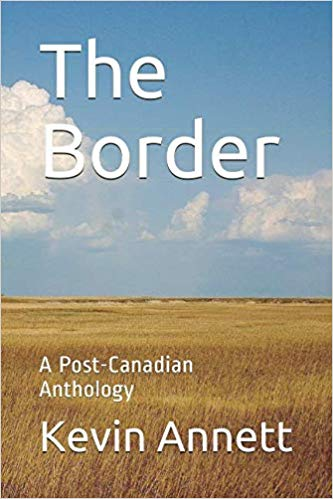 These and other bemusing questions are the subject of Kevin Annett’s sixteenth book, The Border: A Post-Canadian Anthology. Drawing on his popular skills as a wry raconteur, public satirist, wandering spiritual journeyman and whistle-blowing Enemy of Church and State, Kevin Annett delivers once again with an entertaining and inspirational selection from his speeches, sermons, writings and musings gathered over a lifetime.Imbued with what he calls “the gift of the Exile”, Kevin draws on his own heartfelt remembrances from times of tragedy and victory to remind us “that the human heart is a complete sacrament”. Will humanity, and Canadians in particular, accept the cost of their own freedom and learn to live elsewhere than in someone else’s mind? See ten of Kevin’s other books at www.amazon.com .